In 1994, Barry Leddy co-founded Lyngrove Developments with his brother Glen. Under their direction, this house-building company quickly rose from modest beginnings to become a champion of increasingly larger and more successful projects. Lyngrove’s customers have always been crucial to its success; happily they have also been beneficiaries. Lyngrove’s mission was to try to surpass buyer’s needs, by striving to provide the best houses possible at affordable prices. Managing inputs in order to price houses affordably increased mortgage finance prospects for buyers. Smart site acquisitions and effective working within the adversarial Irish planning process proved crucial to executing the strategy. Choosing the correct approach was the key to success and profitability. Arda Raith Wood, Tullyallen, Co. Louth. Lyngrove acquired three acres of land with planning permission for 14 detached homes. They redesigned house types and site layout to better suit the market demand from first time buyers, and successfully obtained a new building permission. The lucky buyers in this development of 32 affordable family homes saw the value of their new homes double in the first four years. 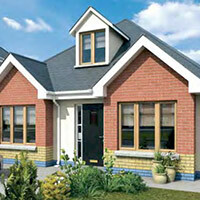 Westhaven is a popular residential development of 104 affordable family homes in west Dublin. This land had building permissions prior to being acquired by Lyngrove, however, the permissions had lapsed and building work had ceased many years previously due to the poor economic environment. Sales had dried up due to lack of mortgage possibilities for buyers. Lyngrove applied successfully for permission to build an innovative and efficient house design which suited the budget and needs of first time buyers in the catchment area. Their strategy was to match the product with a tailored financial mortgage package for buyers, negotiated in bulk directly with mortgage lending institutions. This combination successfully unlocked the potential in this project. Following the success of phase one, the 60 homes in phase two sold out in one week. Beaulieu Mews, Drogheda, Co. Louth. Lyngrove purchased a single dwelling house on three acres, with no previous permission for development. They successfully obtained permission and then constructed this courtyard development of 38 homes, with cut-stone fronts and a central clock tower. 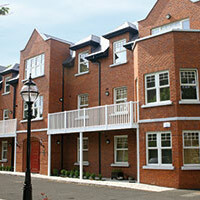 Beaulieu Mews is widely admired as one of the most attractive housing developments in the town. 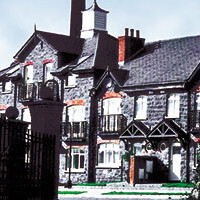 Shrewsbury Manor, Newtown Road, Drogheda, Co.Louth. 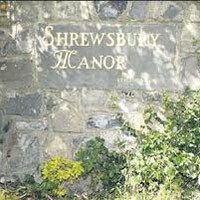 Shrewsbury Manor took its name from a group of men who left Drogheda to work in Shrewsbury, UK in 1941, some of whom never returned. 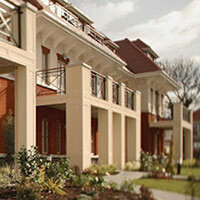 Lyngrove purchased the site with planning permission for 59 large houses. The project had stalled for a number of years under the previous owner and re-positioning for the market was required. Site layout and house designs were given a new treatment, to match the budget and needs of younger couples, who were facing a scarcity of supply to suit them in the local market. The new permission achieved an increase in the number of houses allowed up to 123 units. Following the success of the first phase - eager house hunters camped overnight to secure the houses in the launch of Phase Two. Throughout the years, Barry had the foresight to develop a number of projects independently of his construction company, Lyngrove Developments, diversifying and building a broader business base. 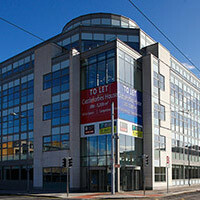 65, 67 Sydney Parade Avenue, Dublin 4. 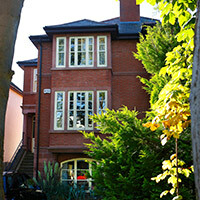 Sydney Parade Avenue is one of Dublin's premier residential roads. A run-down single dwelling house on one third of an acre grounds was acquired. A new planning permission was obtained, and two five-bed luxury Victorian style houses were built. 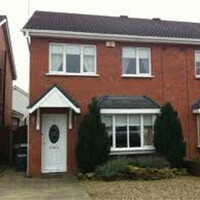 Meadowcourt, Stillorgan Park Road, Dublin. This dilapidated residence on grounds of one acre remained unsold on the market for over a year. Understanding the development potential which others overlooked, it was acquired. A new planning permission was obtained for an increase in density which allowed development of 21 apartments and three townhouses. 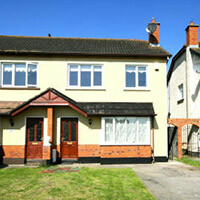 The site was sold “ready to go”, profitably and successfully at auction. Lamda, Monkstown Farm, Monkstown, Dublin. Planning permission was obtained to build a block of 12 apartments creating value on this derelict urban site. The site had a restrictive covenant which was an obstacle to development. The restrictive covenant was unlocked through legal strategy and negotiation. When the site was sold “ready to go” soon afterwards, thirteen builders bid against each other, smashing the auctioneer’s record! Having purchased this run-down house with grounds, permission was obtained for its demolition. 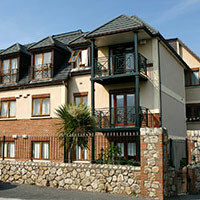 In its place, a pair of apartment blocks were constructed which are currently rented as halls of residence to students of the Institute of Art, Design and Technology, Dun Laoghaire. Sherriff Street development confirms shift in city axis. Dublin city centre is moving - and that is official. Commenting on a recent An Bord Pleanala decision to approve planning permission for a mixed-use commercial and residential centre in Sheriff Street, a corporation spokesman said the development "copper-fastens the drift of the commercial centre to the east in the last decade". In the years prior to this development, Barry succeeded in consolidating these adjoining single dwelling properties with large rear gardens. He then sought and obtained permission from Dublin’s Dockland Development Authorities to construct a state of the art modern office block in their place. In the heart of Dublin’s new City Quarter, neighbours include Dublin’s International Financial Services Centre, the proposed National Conference Centre, and U2’s famous High Rise Tower. Barry sold the project to a company controlled by Liam Carroll, and it became part of the larger project reported above. Liam Carroll became an icon of the Celtic Tiger era after building thousands of apartments in the Dublin area with both Danninger and its predecessor, Zoe Developments. He had also been a high-profile investor, snapping up a sizable stake in Aer Lingus, and was once tipped to win the long-running battle for the Irish Continental Group, in which he had a 29.8pc stake in. Both Danninger and Liam Carroll have suffered numerous blows in the economic turmoil of recent times. Glenamuck and Kilternan Drainage Scheme, Co. Dublin. Through their subsidiary company Leddy Building Services, Michael and Barry Leddy, with a project team of Michael Fitzpatrick of Fahy Fitzpatrick Consulting Engineers, and Dermot Furey of Gartlan O’Neill Furey Solicitors, organised and project managed this public private partnership with Dun Laoghaire Rathdown County Council. Advertised in European Construction Journals, this ambitious project involved constructing the front leg of the Kilternan-Glenamuck Drainage and Water Scheme south of Dublin city. The project had been approved under the Department of Environment’s ‘serviced land initiative’, but was stalled due to multiple issues. The strategy involved forming a consortium of developers with a common goal, to front end the funding of the scheme, with an agreement to set-off the amount against the development levies which would subsequently apply under the various planning permissions. Establishing mutual trust was key to advancing the project. The key pre-requisite in establishing this trust was the reputation, good standing, and track record of all members in the project team. The practicalities involved negotiating with all land-owners and parties involved along the path of the scheme, and securing the necessary way-leaves and easements. The construction overcame many challenges also. The scheme unlocked the potential of Leddy’s land bank in the Carrickmines valley, and further upstream at Kilternan. For the consortium, this scheme unlocked development potential and paved the way for the new retail warehouse park now known as ‘The Park’, and residential developments such as Carrickmines Manor and Carrickmines Green. The system has capacity for development in the area for many years to come. Cairnbrook, Glenamuck Road, Carrickmines, Co. Dublin. This long term investment was purchased with agricultural zoning. Following a successful campaign for a change in zoning, the development potential of the land was unlocked when the Glenamuck and Kilternan drainage scheme was constructed. Planning permission was then obtained for a residential development of 68 mixed units, ranging from apartments to six-bed high end family homes. Newlyn Developments, one of Dublin's largest house building firms purchased the land. They constructed and marketed the project as Cairnbrook. Kilternan Land Sale to Jackson Properties. On this sixteen acres of land south of Dublin city, a successful campaign helped the rezoning of the land from agricultural to residential use under the development plan process for Kilternan. The development potential of these lands were further unlocked when the Glenamuck and Kilternan drainage scheme was constructed, and the land became ‘serviced’. With their professional team, Barry and Glen began work on plans for development including a town centre shopping complex and a stunning residential centre of 250 townhouses and apartments. However, after they received approaches from a number of developers, they sold the project to developer Bryan Cullen, principal of Jackson Properties. Bryan is well known for winning the take-over battle for the Gresham Hotel Group PLC, and his later bid to take over the Jury's Hotel Group PLC. His residential construction company, Jackson Properties has completed some of the largest residential schemes in South Dublin. Kilcoole is situated in an area of outstanding beauty in Co. Wicklow, known in Ireland and abroad as the ‘Garden of Ireland’. Demand for housing in the area was met with minimal supply for close to two decades, as new development was curtailed by a lack of drainage infrastructure. Barry, Michael, and Glen Leddy purchased ten acres of land with a mix of agricultural and residential zoning. They successfully worked for the land to be included in the new village development plan, and the full site was zoned residential in this plan. Facing a common obstacle, they joined in with a group of developers to form a consortium. The one non-developer in the consortium was the Marriott Druids Glen Golf and Country Club, who were soon to host the Irish Open European Tour golf tournament. The consortium negotiated with Wicklow County Council and the Department of Environment to forward fund and construct the new sewage infrastructure for the towns of Newtownmountkennedy and the village of Kilcoole. The scheme allowed for a later set-off against development levies. This scheme unlocked the development potential for these lands. Soon afterwards, the project was sold to Kingscroft Developments. Kingscroft Developments is the Irish subsidiary of Abbey PLC. They built and marketed the project as ‘Holywell’.